In closing this “70th Year of Remembrance” of the unlawful incarceration of Japanese and Japanese Americans as ordered by Executive Order 9066 in 1942, the Department of Music, Theatre and Dance at Cal State L.A. is presenting Wakako Yamauchi’s “12-1-A” from Nov. 8 to 18 in the State Playhouse. 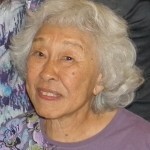 The title references her family’s address at the Poston, Ariz., internment camp, where her family was detained during World War II. In the play, the fictional Tanaka and Ichioka families deal with the conflicts of camp life, including the choice of joining the Army or refusing to serve. Showtimes: Thursday to Saturday at 7:30 p.m.; Sunday, Nov. 18, at 2:30 p.m. Tickets: $12 general, $8 for students and seniors. Available online at www.calstatela.edu/academic/al. For more information, call the Arts & Letters hotline at (323) 343-4118.